Dental implants have become the gold standard for replacing missing teeth. Although primitive implants were in use since prehistoric times, the modern dental implant was developed in Sweden around 1960. Today, there are a variety of different dental implant solutions, including the All-on-Four procedure that replaces a full arch of teeth with a fixed bridge supported by just four immediate-load implants. For many people, though, the individual dental implant and crown solution is the best choice. Here is what you should know. A dental implant and crown is the appropriate choice for those who are missing a single tooth. If you need many teeth replaced, you might choose an implant supported bridge or removable implant supported denture, or you might prefer the aesthetics of individual dental implants and crowns. After the failing tooth is carefully removed and the bone is healed, a small opening is created in your gum tissue to allow the use of a series of drills to create a small hole in your jawbone. We then gently insert a dental implant into the hole. A small cylinder (screw) of biocompatible titanium, “the dental implant” will osseointegrate with your jawbone, fusing in place to create a strong and stable base for the crown. The next step is to add a custom-crafted crown. Using an attachment known as an abutment, the abutment is inserted into the implant, onto which the crown is precisely fitted and secured. This type of restoration blends seamlessly with your natural teeth, ensuring that your new tooth is both highly functional and extremely aesthetic. We provide both traditional and immediate load dental implants. With a traditional dental implant, we will place the implant and cover it with either a healing cap or a cover screw. You will wear a temporary replacement such as a partial denture for several months while the dental implant osseointegrates with the jawbone, and then return to your dentist to have the cover removed and the abutment and crown placed. Immediate load dental implants allow us to place a crown immediately. This type of implant is designed to take some pressure of the crown right away, so you will not need to wear any form of removable solution. You will leave the office with a crown on the same day that your dental implant is placed. Later the final crown is fabricated once the implant is integrated with the bone. Whether you choose one or more dental implant and crown combinations, an implant supported dental bridge, an implant supported removable denture, or an All-on-Four, dental implants have a number of advantages over other options. 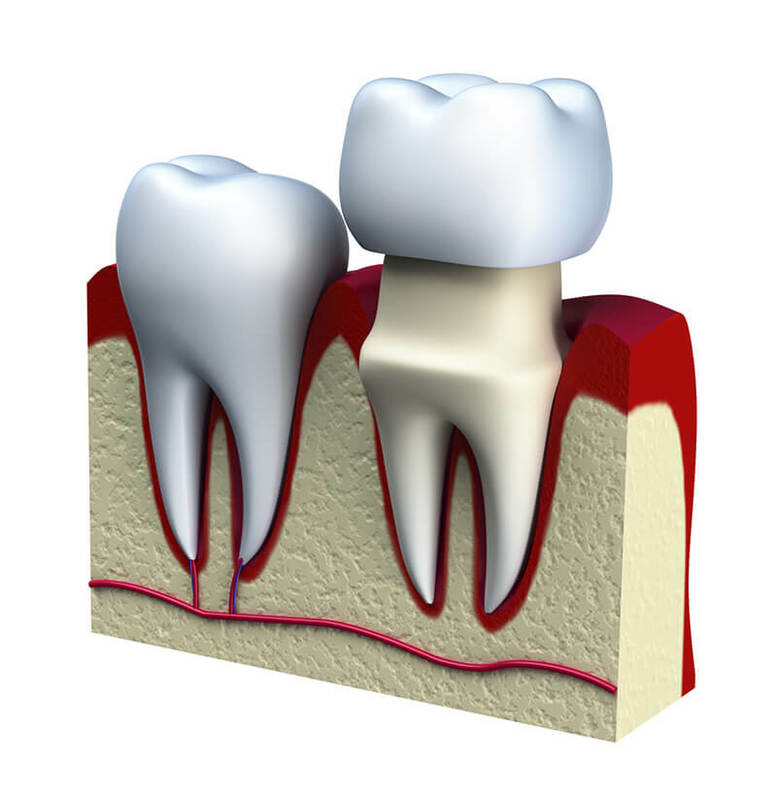 For example, a traditional dental bridge requires us to remove healthy structure from the neighboring teeth. An implant supported bridge is entirely independent of the teeth around it. Removable dentures are prone to slipping, and restore only a fraction of original bite strength. Dental implants are strong, stable, and secure, and restore more than 90% of your bite strength. You will be able to speak, laugh, and eat with ease. If you are ready to take the first steps towards restoring your smile, we invite you to contact Periodontal Associates today at (508) 875-6185 (Framingham) or (617) 964-6185 (Newton Centre) to schedule a consultation.